Grand Theft Auto V is an open world, action-adventure video game. 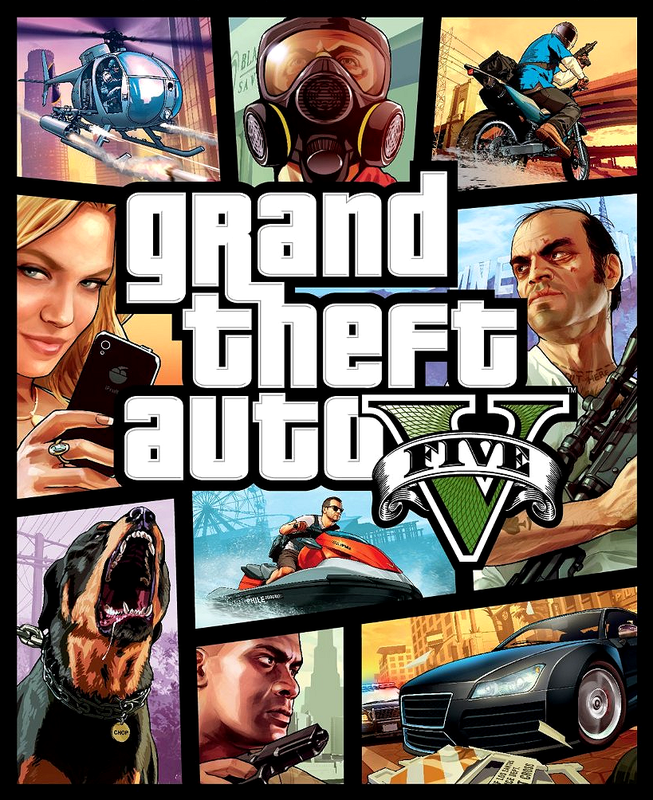 It is set in the fictional city of Los Santos and is based on the lives of 3 men. Micheal Townley, faked his death to get away from his hectic criminal life and changed his name to Micheal De Santa. Trevor Philips, proud owner of Trevor Philips Industries and a crazy, drug addict afraid of nothing. Last but not least Franklin Clinton, an ex-street hustler who now assists in large heists. Grand Theft Auto V is a huge games with a huge map full of exciting and crazy activities to take part in. Once you have completed the story there is much much more to do. Prehaps you could take chop, your K9 friend for a walk, or maybe you could fight off the police and show the system who's boss. If you get lonley in single-player, why not go online with your friends(or alone) and take part in even more exciting missions to earn cash. With your money why not go buy a house where you and your friends can hang and watch the tv. Grand Theft Auto never gets boring and is definately worth the money. I would not recommend this game to anyone under 18 as it contains alot of gory violence, extensive bad language and some sexual content. Need some help? Try our cheats section.